To tell you the truth, when it comes to puzzle games I'm not usually that interested, I just find them frustrating more than fun. 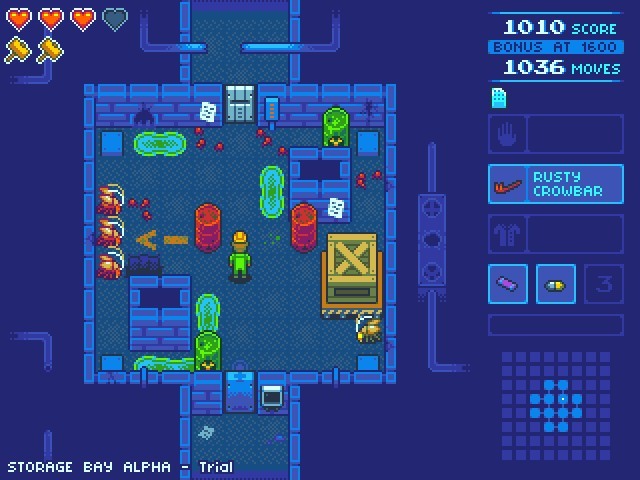 However when I came across Laughing Manatee Games old-school puzzle/adventure game combining Sokoban-style gameplay with RPG elements of ' Puzzle Depot ' it most certainly grabbed my attention. Not only does it feature optional goals and multiple room types, but it has lovely 16bit pixel art and a great ambient soundtrack. In this demo you play as Todd Torial, Box-Pusher Third Class with Union Freight Operations. As you guide Todd through the introductory level, you will learn the basics of gameplay and the world of Puzzle Depot. And if that story didn't pull you in enough to play the demo, then some of the player feedback such as ' It looks and plays great ' probably will.